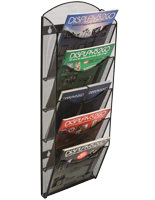 These fabric and steel mesh literature holders offer a refreshing alternative to standard clear acrylic styles. 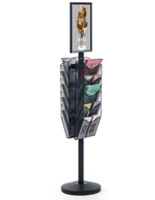 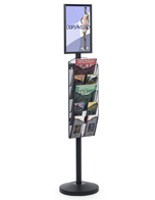 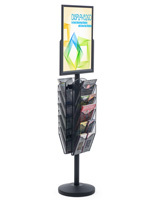 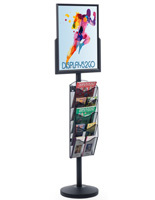 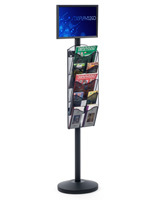 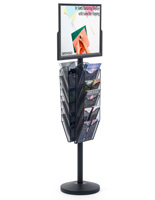 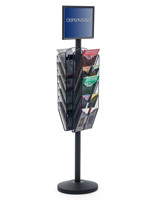 Available in countertop, wall mount, and floor standing models, these brochure displays look sharp wherever thay are used. 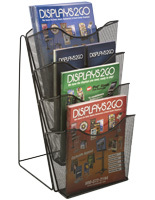 The mesh literature holders in steel feature a fine mesh pattern with all black finish. 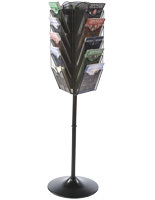 Also included with purchase are special dividers that allow for customizing each pocket. 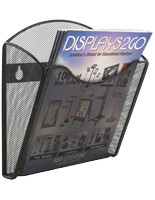 You have the freedom to use the wide pockets for standard magazines and catalogs, or split them into two sides for displaying folded brochures or flyers. 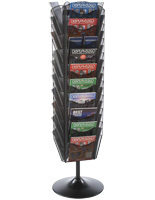 We stock wall mount styles in one or five-pocket models; the countertop version sports four pockets. 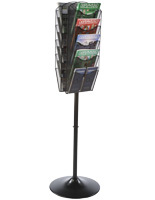 The floor-standing varieties come in many more interations. 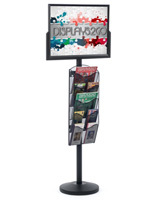 Pockets can be paired with sign and poster frames for a unique marketing display. 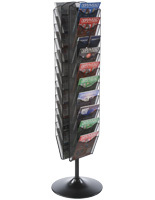 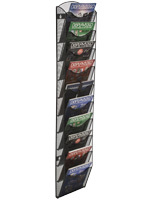 Rotating models offer the most number of pockets (up to 40) and are good choices for convenience stores or gift shops.